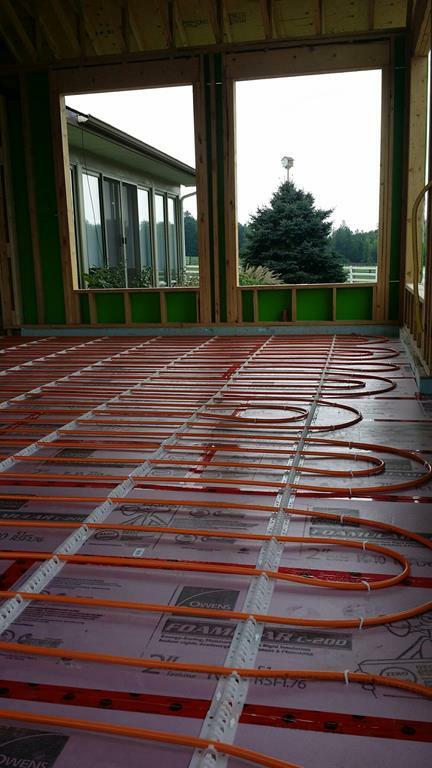 Not just for warm feet, in-floor heating systems are a great way to keep your home or cottage warm during those cold months without installing ductwork or radiators. 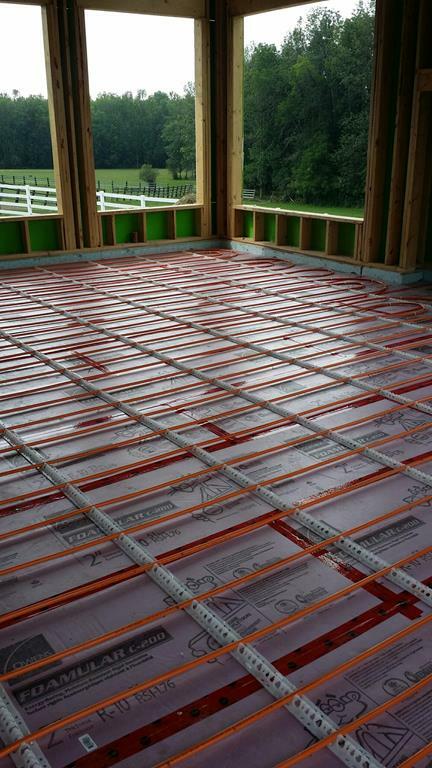 Call Brantworth Mechanical today to get your brand new efficient, dust and allergy-free in-floor radiant heating system installed! 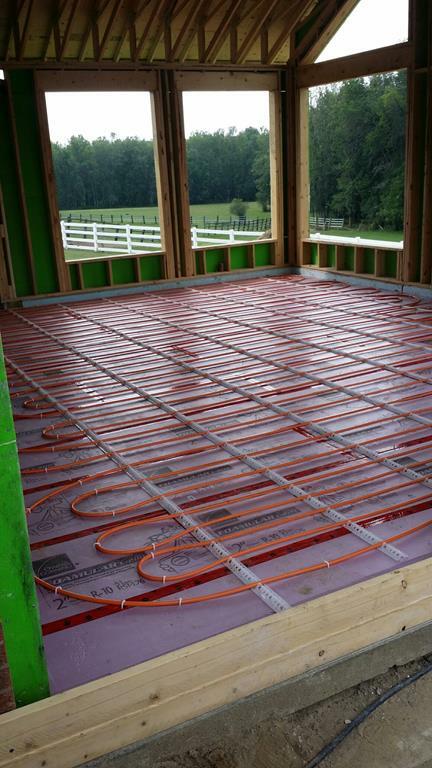 How Does an In-Floor Heating System Work? In-floor heating works by warming from the floor up, and instead of warming the air it warms objects and people instead, just like stepping into a sunbeam. In-floor heating systems uses flexible piping underneath the flooring which is non-toxic, leak-resistant and completely safe for your family. As the water is cooled, it is returned to its heating system to be brought back up to temperature and sent back out to the piping in what is refered to as a "closed loop" system. Control heat in different rooms with "zones"
We're locally owned and operated to provide punctual, efficient installations across Southwestern Ontario. 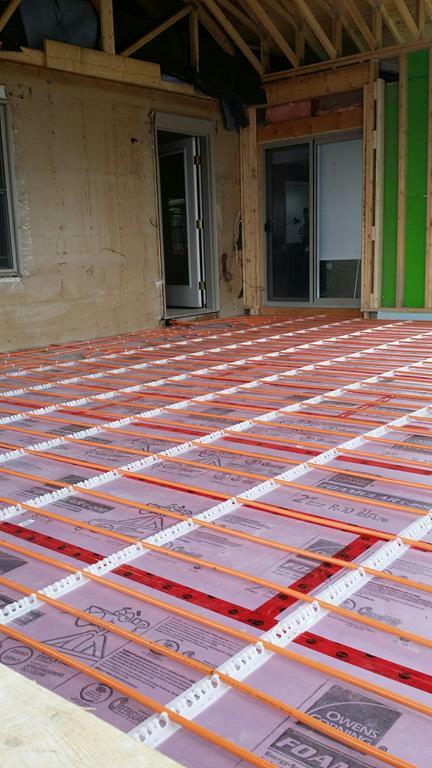 Call us today to start planning your highly-efficient in-floor heating system for your home or cottage!